If you’ve served in the U.S. military or you’re the family of a serviceman or woman, you have the option of using the United Services Automobile Association (USAA) as your insurance provider. Like any other insurance company, if you’ve been in a car accident in Texas, in order to recover compensation for your damages you will have to file a claim with the at-fault insurance company or your own insurance company. Depending on the extent of your damages, you may need to do both. Properly document your bodily injuries, if any, including those that don’t show up until several days or even weeks after the accident. If you are injured or in pain, see a doctor right away. If you don’t get treated, the insurance company will try to say that you were not really hurt. Let your insurance company know that you’ve been in accident right away, even if the accident was minor. If you haven’t already done so, do this now. Like other large national insurance companies, you can file a claim with USAA a few different ways, including by contacting your local USAA agent, if you have one, and filing a claim with them directly. However, if you don’t have a local agent or haven’t spoken to a USAA representative yet, you can file a claim with USAA using their mobile App, by email, phone, or by using their online claims system. You’ll need your police report in hand to start the claims process. If you want to use USAA’s online claims system, you’ll need to be registered with an online username, which you can easily do with your policy information to get started. By filing a claim online, you can also check on the status of your claim at anytime or upload or view documents relevant to your claim as the claim process moves forwards. If you were involved in a car accident that wasn’t your fault and the other driver’s insurance company is USAA, it’s up to you or your auto insurance company to help you file a claim against them. For claims-related inquiries of this nature, you can call USAA at 210-531-USAA. If the at-fault driver’s insurance company is USAA, their policy should help you pay for the cost of your property damage and often your medical expenses, too. Because Texas is an at-fault state, you can file a claim with USAA for any accident-related property damage and medical expenses if you were not at fault. However, you may still have to pay your deductible to your own insurance company until you can be reimbursed for it by USAA, but it’s important to stay on top of if to make sure you are being fairly represented by your own insurance company. If your insurance company can’t get the cost of your deductible back, you have the option of doing it on your own by filing your own claim against USAA. Based in Texas, USAA is a Fortune-500 company that offers insurance and banking and investing services to people and families that serve or have served in the United States Armed forces. USAA has about 11.4 million members across the country and is one of the most popular insurance services for active and retired military families. In Texas, USAA has locations in El Paso, Kileen, and San Antonio, all near major military installations. In 1922, the company was founded by a group of U.S. Army officers who thought they were not getting fair premiums because of the perceived perception that servicemen were considered “high-risk.” With its headquarters in San Antonio, the USAA has the largest single-occupancy office building in the world, an office complex bigger than the Pentagon! USAA markets its services to members of the U.S. military and tailors its insurance plans, rates, and premiums to military families, many of whom are often on the move across the U.S. or internationally. 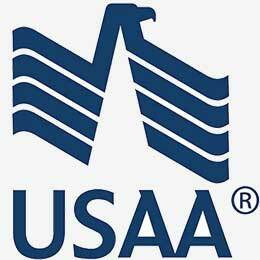 USAA doesn’t operate as a corporation, but is instead an “inter-insurance” exchange, established under the Texas Insurance Code. Despite this difference, it still operates very similar to other insurance companies when it comes to the claims process. But because there are no USAA shareholders, USAA profits are retained for financial strength or returned to its members. In 2015 for example, USAA returned $1.6 billion to its members. Because of this and its commitment to U.S. military servicemen and women, USAA has consistently been ranked among the best for customer service satisfaction. Zogby international rated USAA No. 1 in customer service in a recent survey of 145 American companies. While every USAA location, insurance agent, and adjuster is different, USAA generally focuses on the merits of each claim before reaching a settlement offer with its clients for property damage or bodily injury. With a strong stated personal commitment to its clients and providing “niche” services to the members of the U.S. military and their families, many USAA members report that they have had positive experiences dealing with USAA when filing their claims. Regardless of popular opinion, however, every claim is different, and this is why it can be especially helpful to have legal experts on your side that know how to deal with USAA practices and standards. For simple property damage claims resulting from minor accidents, we recommend that you follow the regular property damage claim process and use the tools provided by USAA to document your accident, file your claim, and get a second opinion from a trusted auto repair specialist to ensure you’re getting a fair value of the repair or your totaled vehicle. In the case of bodily injury claims, we suggest conferring with an experienced personal injury lawyer about your claim. Insurance companies like USAA have a duty to protect their financial position in the market and return money to their clients when they can. This is why it’s often still better to work with a legal expert when dealing with USAA.